Begin at the Charleston Maritime Center, which is centrally located in Charleston’s French Quarter. 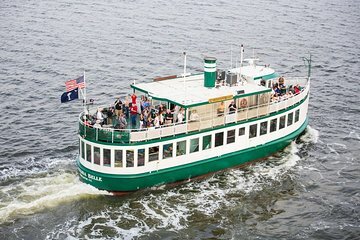 Present your tour voucher before boarding the 80-foot sightseeing boat, then set off along the Cooper River. Listen to stories from the boat captain throughout the tour, as you pass some of Charleston’s historic sites. Get close up views of Fort Sumter, the fortified island where the first shots were fired in the Civil War. Pass the Essex-class USS Yorktown, a ‘fighting lady’ aircraft carrier from the Second World War that earned eleven battle stars in her dramatic military career. Take in Fort Moultrie and Fort Johnson, a pair of forts that housed Confederate and Union soldiers, and see St. Michael’s Episcopal Church, which survived Revolutionary and Civil War fighting by painting its steeple black. Pass elegant antebellum homes on the Battery, and navigate beneath the Arthur Ravenel Jr. Bridge, a modern span that links downtown Charleston to Mount Pleasant. Drinks are available for purchase onboard throughout the trip, which concludes with drop-off at the Charleston Maritime Center. Such a delight to relax and super glad we did this tour. It did rain a lilttle bit but it still was an awsome tour highly reccommended . Great job, Crew! Very interesting and enjoyable trip! Thought the Captain did a Excellent narration during the cruise. Very educational and great views.Pictures a plus. We went out on the boat on a day that was pretty cool and windy. Captain Erin was wonderful. She was very informative and gave lots of great history of the area. Loved it . Captain Tripp and crew were very courteous and knowledgeable. We enjoyed this trip very much as we were only visiting Charleston for the day. Very educational. The Captain was informative and commicall at the same time. Well worth the time andcexploratand. Good historical information about Charleston. Our captain/tour guide had a great sense of humor and definitely knew his Charleston history. The sites from the water were amazing. The appropriate amount of time was given. I definitely want to check out the evening version of this cruise, I bet it's even more amazing. Fun trip! Informative tour guide. Beautiful scenery. I highly recommend for a quick and fun way to briefly see and learn about Fort Sumter, Sullivan's Island Light House, Mt. Pleasant, and military ships in the area without having to spend the time driving to each one and taking a tour. Seeing each of these things from the tour boat and learning about them from the tour guide was perfect for the traveler who is trying to see as much as possible in a limited amount of time. 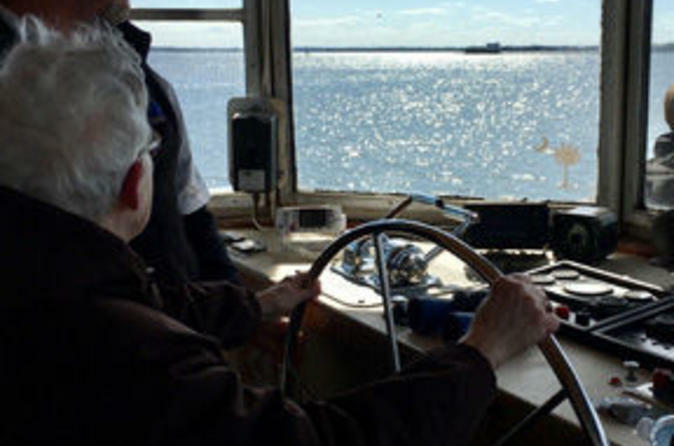 In spite of the weather cold and windy the harbor tour was very informative about the surrounding coastline of Charleston Harbor. We even viewed dolphins around our boat. The tour narrator had a pleasant manner with a few jokes thrown in.